Jonathan Toews has looked anything but out of place so far in his Olympic debut with Team Canada, getting a chance to play in numerous situations and chip in on the scoresheet as well, beginning with an assist against Norway. While that assist, (which came on a Ryan Getzlaf third period tally) proved to be insignificant in terms of determining the outcome, it provided the 21-year-old Toews with his first Winter Games point. It also provided his former collegiate coach another reason to be proud of the Winnipeg native. Toews is no stranger to international competition. In 2005, Toews captained Canada West at the World U-17 Hockey Challenge to a gold medal. He scored the game-winning marker in a 3-1 triumph over Canada Pacific in the championship. He recorded 12 points to finish first in tournament scoring and was selected tournament MVP. In 2006, Toews' draft year, he competed on Team Canada's under-20 team at the 2006 World Junior Championships as the youngest player on the team. He tallied two assists in the tournament, both against Norway in preliminary play, as Canada went on to down Russia in the gold medal game 5-0. One year later, Toews earned a second consecutive World Junior gold medal. In the semifinal game against the United States, Toews scored three times in the shootout to advance to the final. With seven points, Toews led Team Canada in scoring and was named to the Tournament All-Star Team with teammate and fellow NHLPA member Carey Price. Shortly after his gold medal win, Toews was feted by his hometown American Hockey League team, the Manitoba Moose, on February 3, 2007. That same year, Toews made his senior international debut at the 2007 World Championships. He registered seven points in nine games competing against mostly professional players after coming off just his second year of college hockey. Team Canada earned the gold medal, defeating Finland 4-2 in the championship game. On June 29, 2007, Toews was awarded the Order of the Buffalo Hunt, an award given by the Province of Manitoba in honour of sporting achievements, for his play in the junior and senior world championships. After his rookie campaign in the NHL, Toews competed in his second World Championships in 2008. Russia defeated Team Canada in overtime in the gold medal match, marking the first international competition in which Toews did not win gold. On December 30, 2009, Toews was selected to play for Team Canada at the 2010 Winter Olympics in Vancouver. He was named to the squad along with Blackhawks teammates Brent Seabrook and Duncan Keith. Named team captain of the Blackhawks on July 18, 2008, at 20 years and 79 days, Toews became the third-youngest team captain in NHL history, behind Vincent Lecavalier of the Tampa Bay Lightning and Sidney Crosby of the Pittsburgh Penguins. 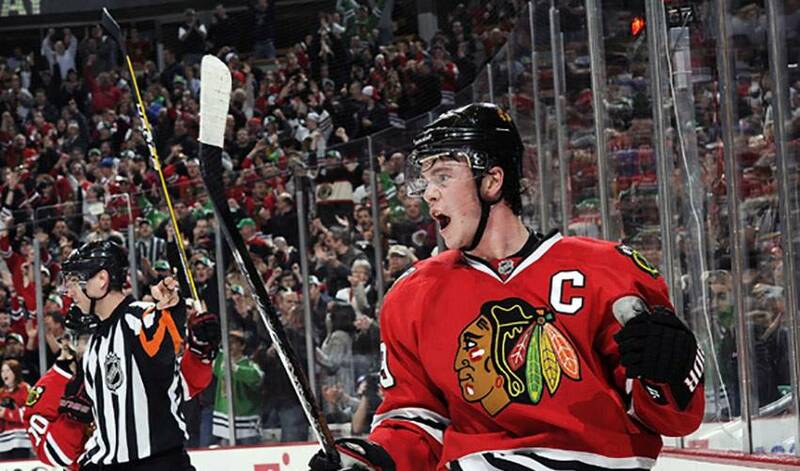 Cary Eades, assistant coach at North Dakota, believes Toews is the perfect fit for the role. “He's mature beyond his years as a player and a person,” raved Eades. “He comes from a strong family and his parents did a great job. I think he's been lucky to have a lot of good influences throughout his life. But that doesn't mean Toews takes losing lightly. It's all the more reason to understand why Toews was an easy choice to don the Olympic red and white jersey of Team Canada. Jonathan Toews' number one pet peeve may, or may not, surprise you.